TELE offers monitoring relay solutions for controlling machine parameters these include timing relays, Monitoring relays, Load Monitors, Power & Grid system protection. Not only do these optimize the lifetime of machinery and equipment, but these save costs on energy demand over the lifetime of your system. Not only do we create the best time & monitoring relays, but being a forward thinking company we are always looking towards new technology development and the revolutionary products that solve problems. As a pioneer and trendsetter, we deliver intelligent solutions for monitoring plants, factories, buildings and machines that keep them up and running. The newest product is our Electronic Soft Starter has many features integrated into an ultra-compact design. It helps you to reduce wiring material, installation time and space in electric cabinets and industrial plants. A complete soft starter, reversing unit, 3pole motor contactor and thermal protection relay all built in a 22,5mm wide housing. View our full selection of Telerelays products today to see how your industry could benefit from these amazing products. TeleRelays was founded in 2014 to fill a need present in the American market. Their mission is to provide outstanding relay products and accessories to customers in the United State and, as the exclusive provider of TELE-Haase branded products in the US, TeleRelays is dedicated to providing the best service possible by employing technical expertise and operational agility in order to deliver customers with the right solution at the right time. Tele-Haase, the parent company through which TeleRelays acquires their products, is an Austrian based technology company that is passionate about hiring the best in the business to develop control and monitoring solution for both the energy and industrial sector. 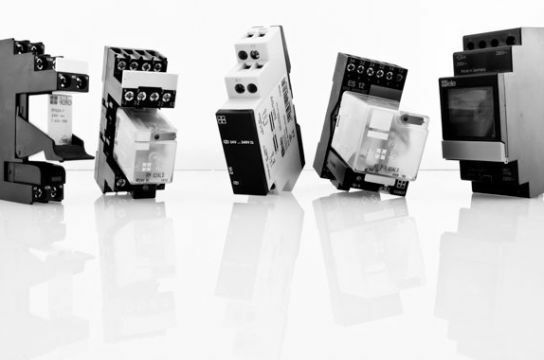 Founded in 1963, Tele-Haase has been a market leader for time and monitoring relays and have been developing customized solutions and components for the industrial and energy sectors for more than five decades. These products have been used the world over and are most often used in control cabinets, industrial plants and transformer stations, as well as being utilized in wind, water, and solar energy power plants. With the eye of the company always looking ahead, TeleRelays is proud to be able to supply such amazing products to the American market. In the coming years, this technology is poised to integrate seamlessly into the industrial landscape by learning to communicate and deliver its data across different interfaces in the network to the people and places that the data is needed. This technology is going to pave the way for the factory of the future and, even better, will allow industries to be more efficient, green, and worker friendly.